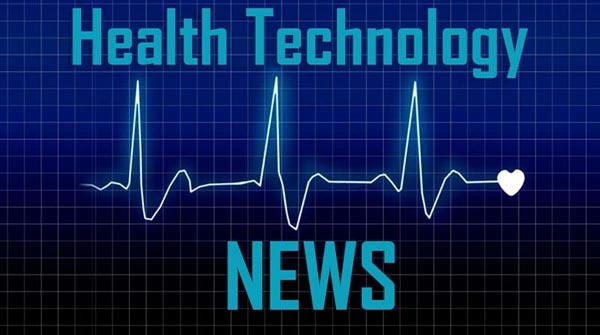 AUSTIN, TX / ACCESSWIRE / April 1, 2019 / Savara Inc. (NASDAQ: SVRA), an orphan lung disease company, today announced the initiation of ENCORE, a Phase 2a clinical study evaluating its lead product candidate, Molgradex, for the treatment of nontuberculous mycobacterial (NTM) lung infection in people living with cystic fibrosis (CF). Molgradex is an inhaled formulation of recombinant human granulocyte-macrophage colony-stimulating factor (GM-CSF) and is also currently in Phase 2a development for NTM in non-CF patients and in Phase 3 development for autoimmune pulmonary alveolar proteinosis (aPAP). ENCORE is an open-label, non-controlled, multi-center, Phase 2a clinical study of Molgradex in patients living with CF who have persistent pulmonary NTM lung infection. ENCORE will enroll approximately 30 patients (≥18 years of age) with chronic Mycobacterium avium complex (MAC) or Mycobacterium abscessus infection, with all patients having either antibiotic refractory infection, intolerance to standard NTM antibiotics, or not currently meeting recommendations for antibiotic treatment. The study comprises a 48-week treatment period of 300µg of Molgradex once daily and a 24-week follow up period. The primary endpoint in the study is sputum culture conversion, defined as at least three consecutive negative NTM sputum samples with a four-week interval between each. Secondary endpoints include: (i) the number of patients with sputum smear conversion to negative, defined as at least three consecutive negative acid-fast bacilli stained sputum smears on microscopy among patients who were smear positive at baseline, (ii) the reduction of bacterial load in sputum, and (iii) other microbiological indicators, pulmonary measures and patient reported outcomes. NTM lung infection is a rare and serious lung disorder associated with increased rates of morbidity and mortality. Nontuberculous mycobacteria are naturally-occurring organisms and NTM lung infection can occur when an individual inhales the organism from their environment and develops a slowly progressive and destructive lung disease. NTM lung infection is typically characterized by cough, fatigue and weight loss. NTM infection often becomes chronic and requires long courses of multiple antibiotics, and despite the aggressive treatment regimens, treatment failure rates are high and recurrence of infection common. Chronic NTM lung infection can have a significant impact on quality of life. There are approximately 50,000 to 80,000 individuals affected by NTM lung infection in the U.S., the most common types involving MAC and Mycobacterium abscessus. There have been few advancements in new systemic treatments for NTM lung infection. However, studies suggest that administration of high local concentrations of drug directly at the site of infection provides an attractive new avenue to improve clinical outcomes in this, and other difficult-to-treat, chronic lung infections. Savara cautions you that statements in this press release that are not a description of historical fact are forward-looking statements within the meaning of the Private Securities Litigation Reform Act of 1995. Forward-looking statements may be identified by the use of words referencing future events or circumstances such as “expect,” “intend,” “plan,” “anticipate,” “believe,” and “will,” among others. Such statements include, but are not limited to, statements that people living with CF who have chronic NTM lung infection are in need of improved treatment options to complement current antibiotic regimens, that by stimulating the lung’s immune system, we expect Molgradex to enhance the body’s natural ability to fight infection, the belief that anti-infective immunotherapy has the potential to transform the way many refractory lung infections are treated, that ENCORE will enroll approximately 30 patients (≥18 years of age) with chronic Mycobacterium avium complex (MAC) or Mycobacterium abscessus infection, that studies suggest that administration of high local concentrations of drug directly at the site of infection provides an attractive new avenue to improve clinical outcomes in this and other difficult-to-treat chronic lung infections, and Savara’s strategy. Savara may not actually achieve any of the matters referred to in such forward-looking statements, and you should not place undue reliance on these forward-looking statements. Because such statements are subject to risks and uncertainties, actual results may differ materially from those expressed or implied by such forward-looking statements. These forward-looking statements are based upon Savara’s current expectations and involve assumptions that may never materialize or may prove to be incorrect. Actual results and the timing of events could differ materially from those anticipated in such forward-looking statements as a result of various risks and uncertainties, which include, without limitation, risks and uncertainties associated with the outcome of our ongoing and planned clinical studies for our product candidates (including our Phase 2a clinical study of Molgradex for the treatment of NTM in patients living with CF), the ability to project future cash utilization and reserves needed for contingent future liabilities and business operations, the availability of sufficient resources for Savara’s operations and to conduct or continue planned clinical development programs (including our Phase 2a clinical study of Molgradex for the treatment of NTM in patients living with CF), the ability to obtain the necessary patient enrollment for our Molgradex Phase 2a clinical study for the treatment of NTM in patients living with CF and for our other product candidates and indications in a timely manner, the timing and ability of Savara to raise additional equity capital to fund continued operations, the ability to successfully identify product acquisition candidates, the ability to successfully develop our product candidates, and the risks associated with the process of developing, obtaining regulatory approval for and commercializing drug candidates such as Molgradex, AeroVanc and amikacin/fosfomycin that are safe and effective for use as human therapeutics. All forward-looking statements are expressly qualified in their entirety by these cautionary statements. For a detailed description of our risks and uncertainties, you are encouraged to review our documents filed with the SEC including our recent filings on Form 8-K, Form 10-K and Form 10-Q. You are cautioned not to place undue reliance on forward-looking statements, which speak only as of the date on which they were made. Savara undertakes no obligation to update such statements to reflect events that occur or circumstances that exist after the date on which they were made, except as may be required by law.